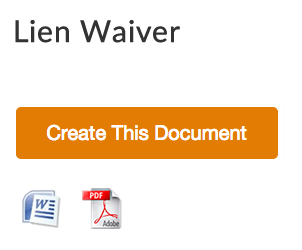 We need a lien waiver because it relinquishes a business or person’s right to put a lien on the assists of another person or party. Contractors and mechanics often use lien waivers and these are signed by the customers that have had contractor or mechanical work done where the bill has been paid in full. If there’s no waiver the mechanic or contractor can take their supplies back and is able to place a lien on the property if the customer hasn’t paid in full as they agreed to. The lien waiver is given once the customer has paid in full for the work that they requested. When a contractor or a mechanic does work they put themselves at risk because the customer may make late payments so they may not pay at all. The lien protects the contract or mechanic against any type of non-payment. 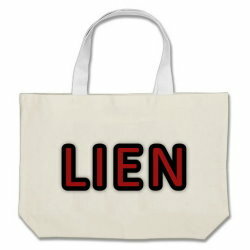 The lien waiver certifies that the customer has paid in full and that the contractor can’t make any claims. The contractor can make claims if the customer hasn’t paid in full because there’s no lien waiver given. The customer needs to know that the contractor can put liens on their property if the work isn’t paid for. Once the work is paid for the waiver will let them know that the work is complete and that the contractor can no longer put a lien on the property. The waiver assures all parties such as a mechanic, contractor, supplier, and so on that the work is complete and paid for. If a contractor is getting paid in installments for example, and the customer doesn’t pay, the contractor could take heavy losses due to the cost of their supplies. With a lien, they can get this money back. If the work is completed and the customer pays in full they can supply a waiver for the customer to assure the customer that no lien can be placed on their property. The lien protects the contractor, and the lien waiver protects the customer. The contractor should supply the lien waiver to the customer once the bills are paid or the customer should ask for a lien waiver so there’s no possibility of the contractor placing a lien on work that has been paid for by the customer. If the customer knows ahead of time that a lien can be put on their property if no payments are made that customer is going to be more willing to make the payments required for the work that you do. As a contractor or a mechanic you need the lien waiver for your customer. You can assure them that the waiver will be given once they have paid you in full for the work that you have both agreed to. This waiver protects the customer while the lien protects you. You should only give the waiver once you are satisfied that everything has been paid for. As the customer you should get this waiver right away once you have paid for the work so there’s no chance of claims being brought against you falsely.